With less than a month to our voyage aboard the USS DnDonations, we're happy to announce we are once again re-opening our Adopt-a-Trap program! Are you a nefarious Dungeon Master who has all sorts of vicious and lethal traps up your sleeve? Perhaps you've made a whole binder full of them? Perhaps you delight in the look on a player's face when you tell them what creative new way you have devised for their character to die? Or maybe you just like reading a lot of Grimtooth's Ultimate Traps? If you answered yes to any of those, I bet more often than not, your players complain, or tell you to take it easy, or say dying all the time "isn't fun." What do they know. Well we have an offer for you! Here at Dungeons & Donations, creative lethality is highly encouraged! Donate $25 towards our goal and we'll let you put a trap in our game! It can be as crazy, convoluted, lethal, or in any other manner superfluous as you desire! When the players come to the realization that their characters are well and truly (and thoroughly) dead, as we wipe their remains from the floor, we'll tell them just whose machinations brought about their untimely demise. We'll give you credit on our live broadcast!  If you'd like to participate, go to our Extra Life page and click "Donate", and choose the $25 donation option. In your message, be sure to include that this is for Adopt-a-Trap. Don't donate anonymously or we won't be able to verify your donation. Finally, send us an email with the subject "Adopt-a-Trap". We'll be in touch to get your trap details. We'll be closing new entries on 11:59 pm ET, November 22nd so be sure to get your donations in by then. We look forward to seeing what devious creations you all dream up!